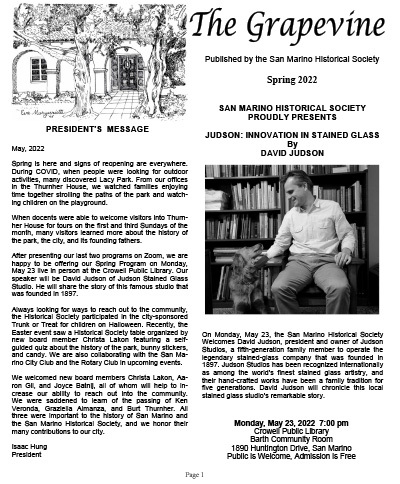 “The Grapevine” newsletter is published by the San Marino Historical Society. The newsletters are provided as PDFs. To view them, you must have or download a free Adobe Acrobat Reader.